Cabbage is something I grew up eating often. My Granny and Grandaddy grew it in their garden every year. I remember liking it but I never really think to make it as an adult. A few years ago, I signed up for a CSA (Community Supported Agriculture) delivery box. Since Calgary has a very short growing season, many of the items inside were of the hardy variety. We got lots of cabbage, chard and kale. There’s nothing like a glut of a vegetable to make you figure out how to cook it! 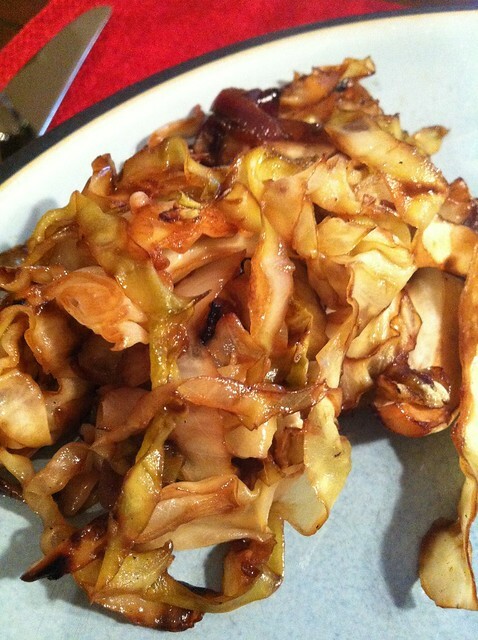 One of the recipes born out of necessity was this one for Sauteed Cabbage. Another great part of cooking cabbage is that it is CHEAP. Yep, cabbage is one of the cheaper vegetables you can buy, especially during the winter season. Stir up this delicious side dish to go with any of your winter mains. Cabbage is a healthy and frugal vegetable that is often overlooked. 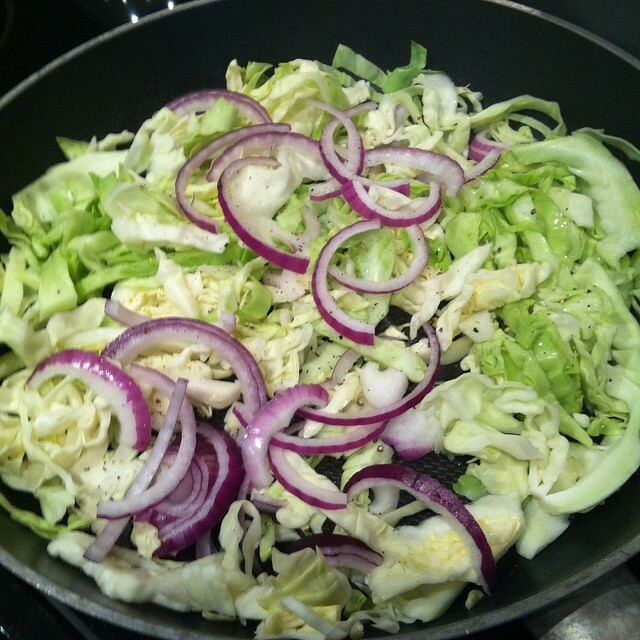 Throw together this easy and delicious sauteed cabbage recipe! Heat a non stick pan coated in cooking spray over medium high heat. When it starts getting dry, add butter. Keep cooking and add vinegar. Continue sauteeing until cabbage is tender. Serve hot. Recipe Notes: Just remember that it is a-okay to “just wing it”! Looking for more delicious side dishes to try? Check these out!